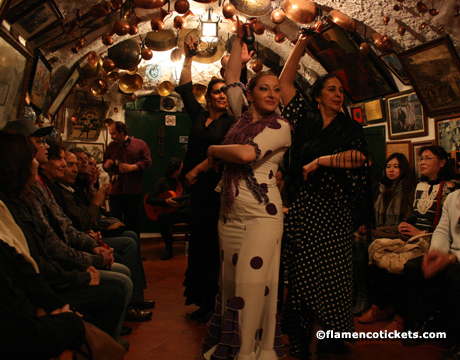 La Zambra de María La Canastera is located in the Sacramonte quarter of Granada. 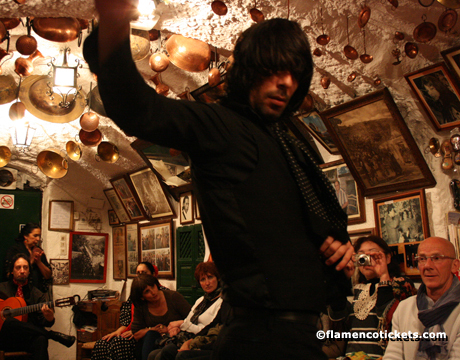 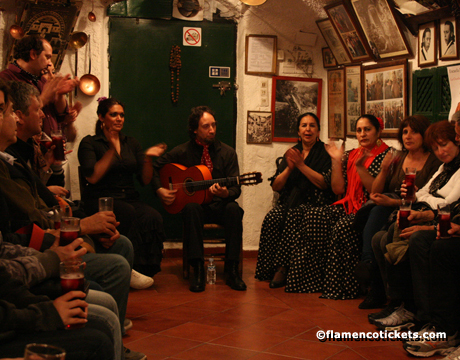 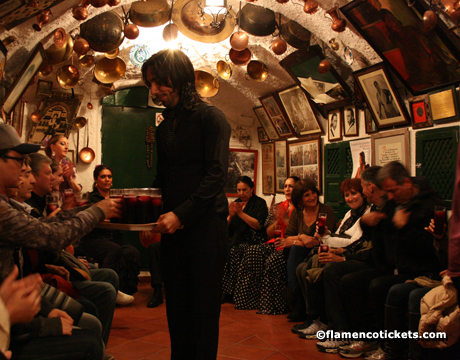 Now over 50 years in operation, the cave is one of the oldest flamenco cave venues in the city of Granada. 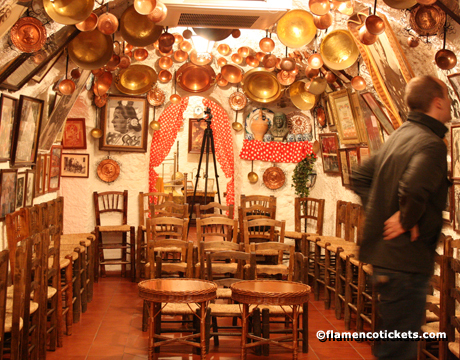 Inside the former cave home has been decorated with photographs of famous visitors as well as traditional pottery and copperware typical of the region. 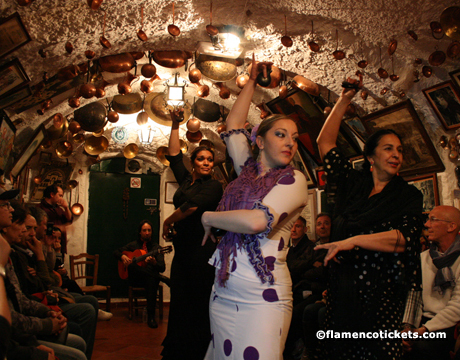 With a capacity of approximately 60 people, the nightly flamenco shows are intimate and familiar, and continue to feature the family of Maria La Canastera. 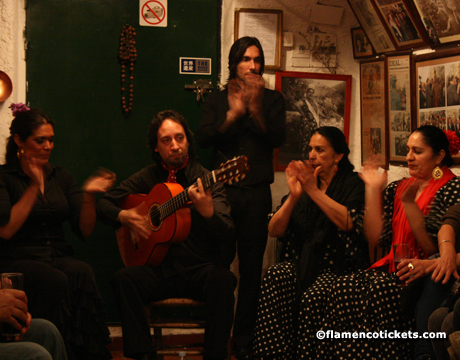 Today her son, Enrique, continues to operate the home which has now been converted into a venue for flamenco performances as well as a cultural museum. 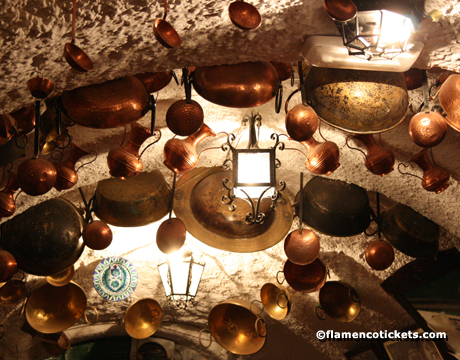 Several of the rooms in the cave dwelling have been preserved - the kitchen and two bedrooms are in their original state. 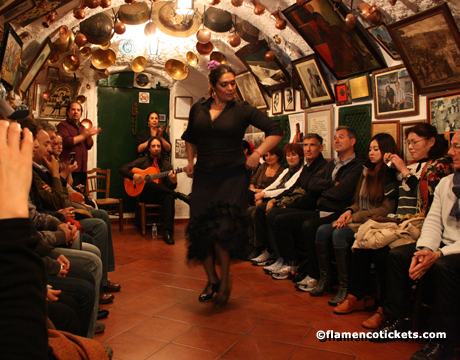 The living room continues to serve as the main stage for the performances. 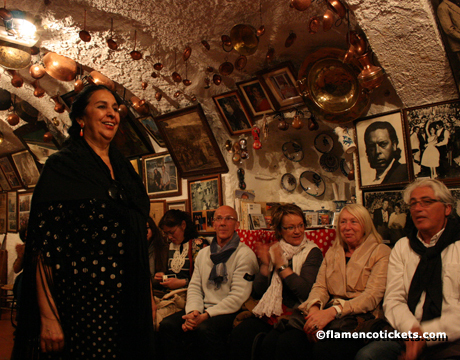 Maria Cortes Heredia, a flamenco dancer and singer known as "La Canastera", was born in 1913. 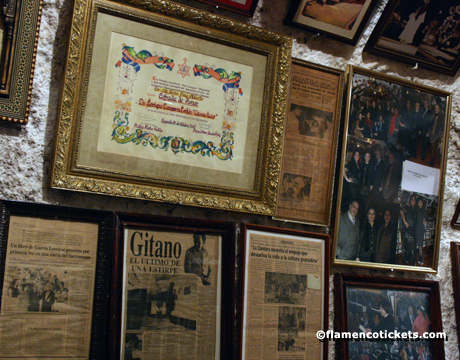 Her artistic name came at an early age and is owed to her father, a local craftsman who specialized in weaving artisan wicker baskets. 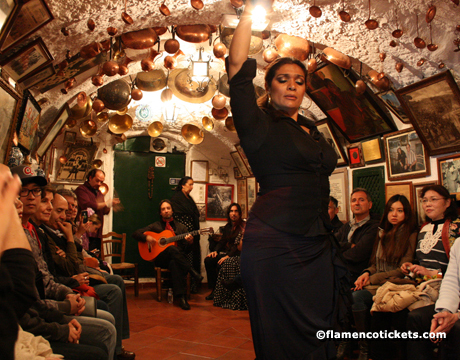 Maria began dancing in the Sacromonte Zambras where she quickly rose to fame. 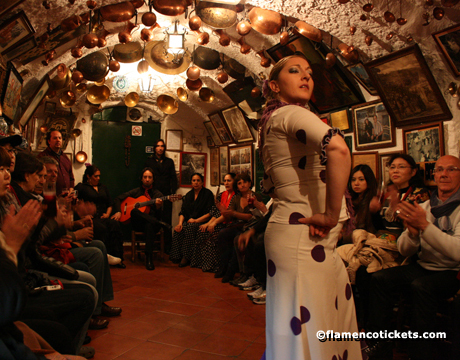 By the age of 16 she was already travelling to Barcelona to perform with some of flamenco's most famous artists. 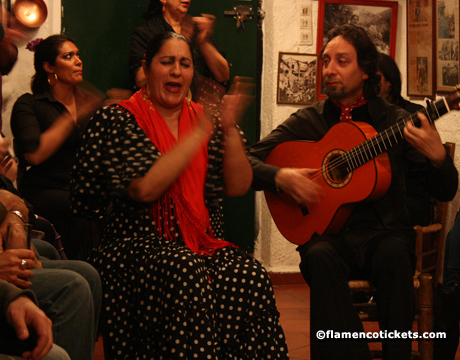 Over time she shared the stage with names such as Carmen Amaya, Pepe Marchena and La Niña de los Peines. 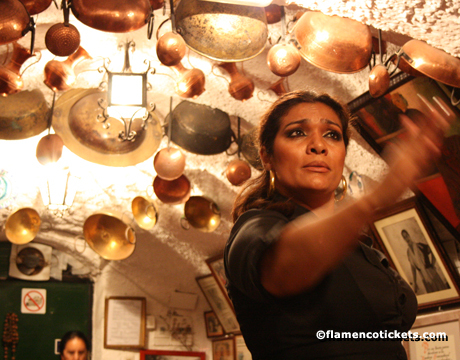 She made numerous recordings as well as television appearances. 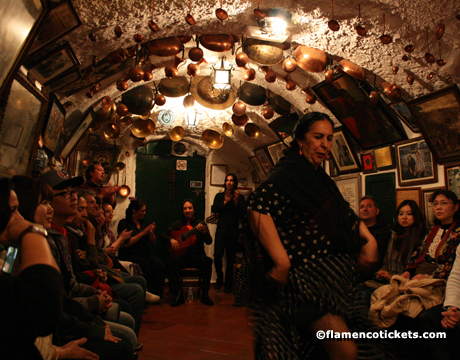 La Zambra de María La Canastera also offers the option of transportation (round trip) with pickup from city center locations (direct pickup from some hotels along the route is possible). 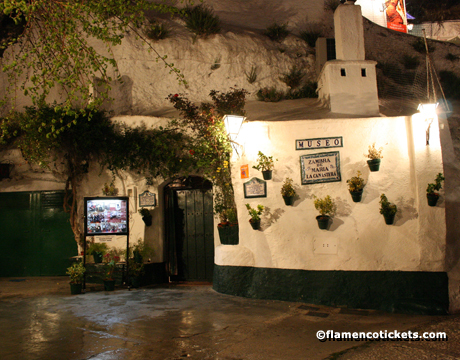 The route follows the narrow streets of the Albayzin until reaching the Sacromonte quarter and La Zambra de María La Canastera, providing a panoramic visit for guests. 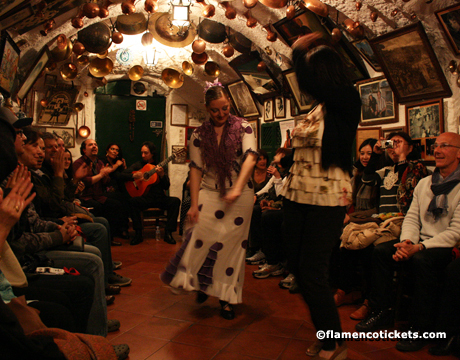 From April through October the bus also stops at the Mirador de San Crístobal, a plaza with views of the Alhambra. 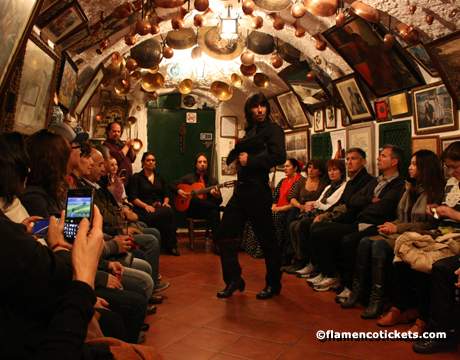 For the ticket options with "transport included", we will organize the pick-up with you by email after finalizing the ticket purchase.